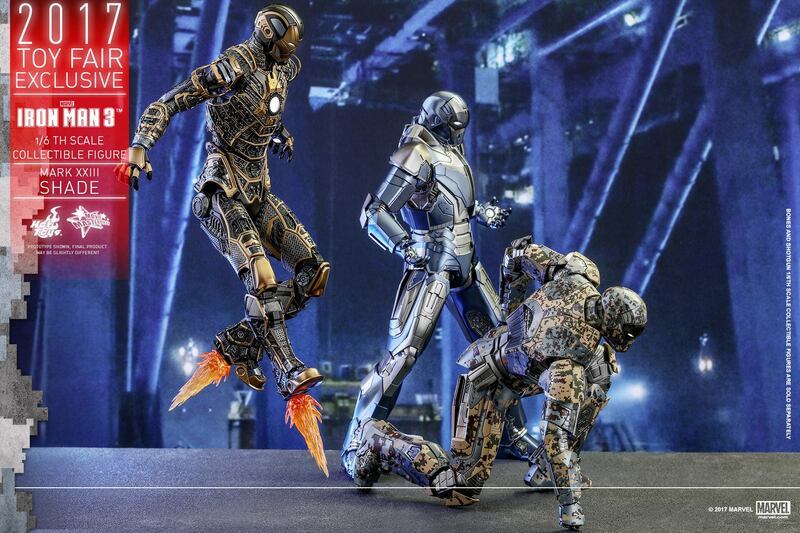 Hot Toys has released images and details for their new traveling convention exclusive. 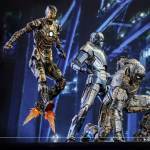 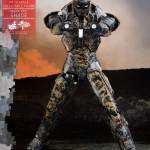 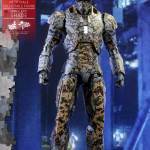 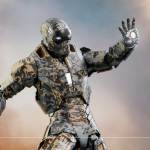 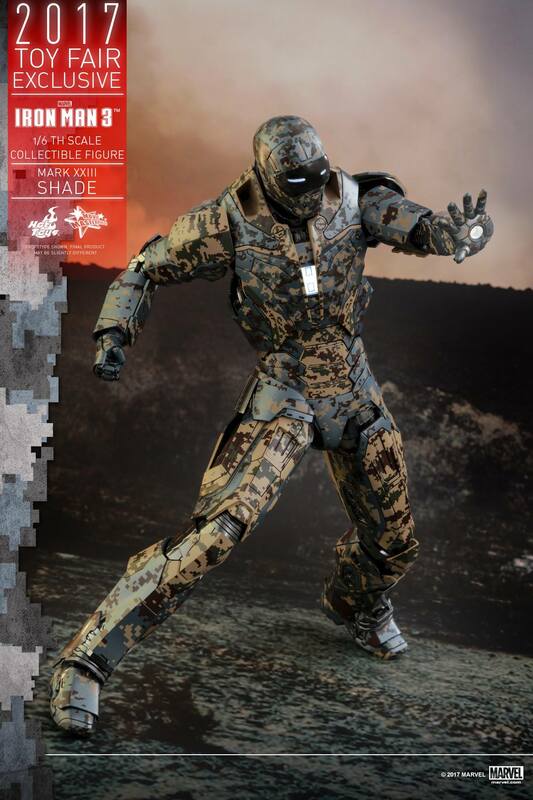 The Iron Man 3 – Iron Man Mark XXIII “Shades Armor” 1/6 Scale Figure will be available at select conventions throughout the rest of the year. 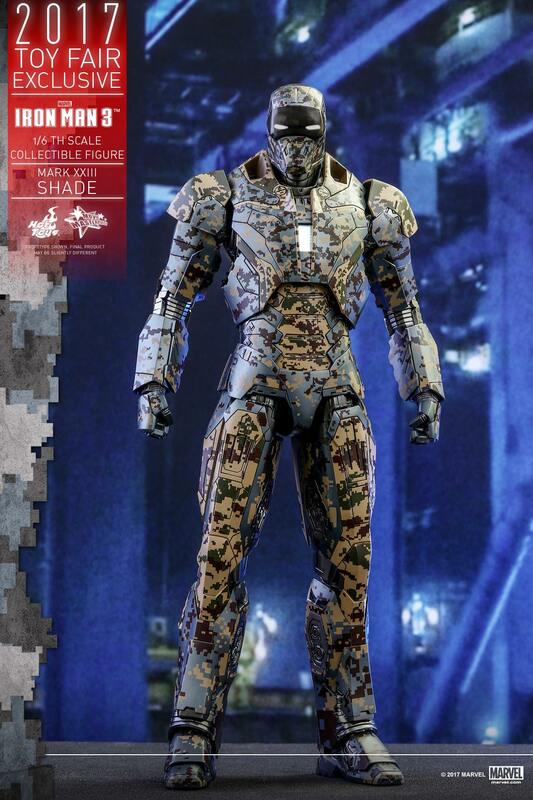 The figure will stand over 12″ tall with over 30 points of articulation. 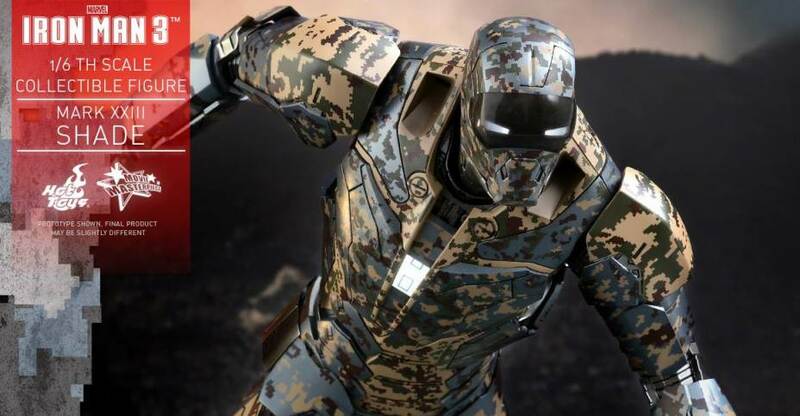 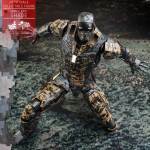 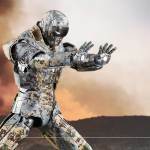 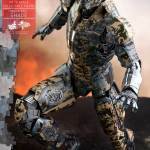 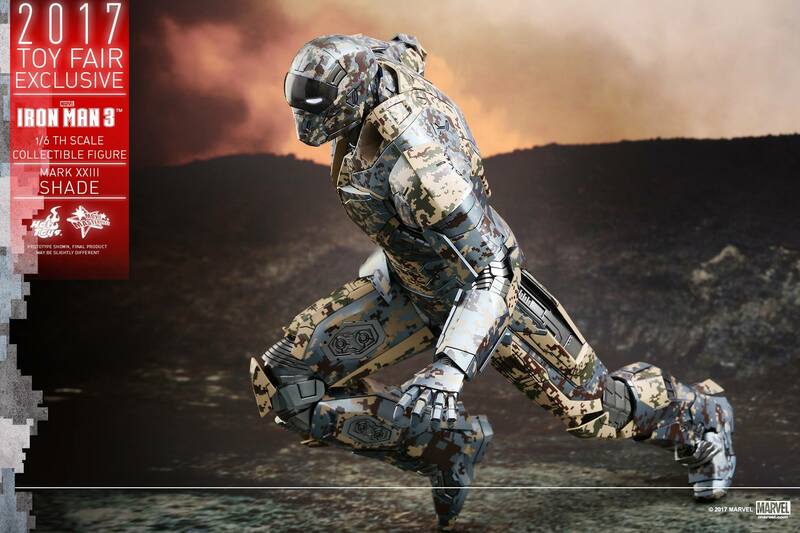 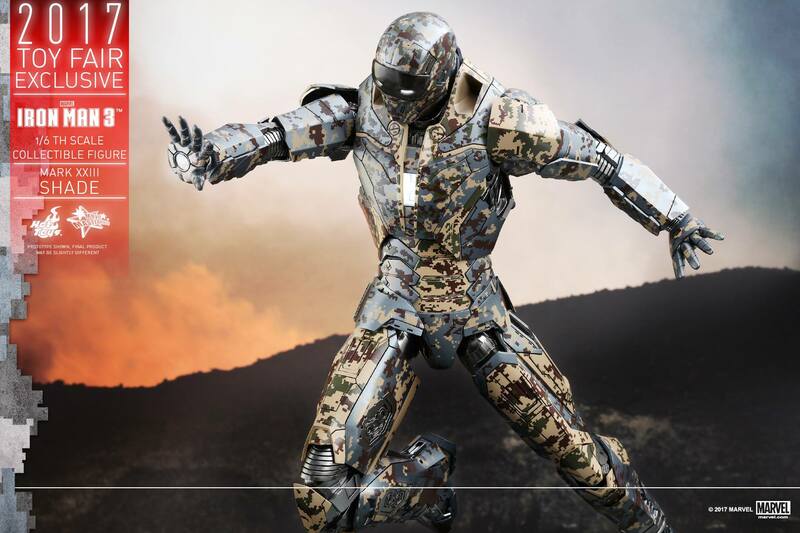 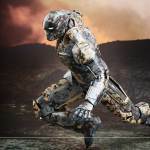 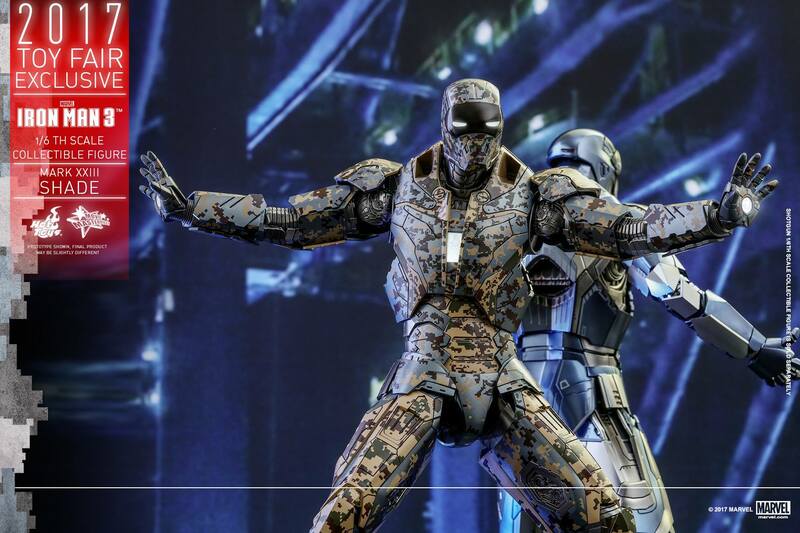 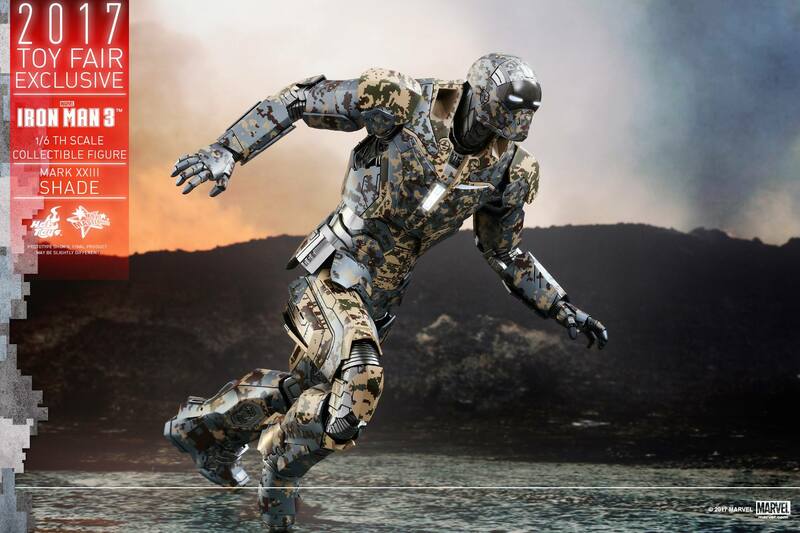 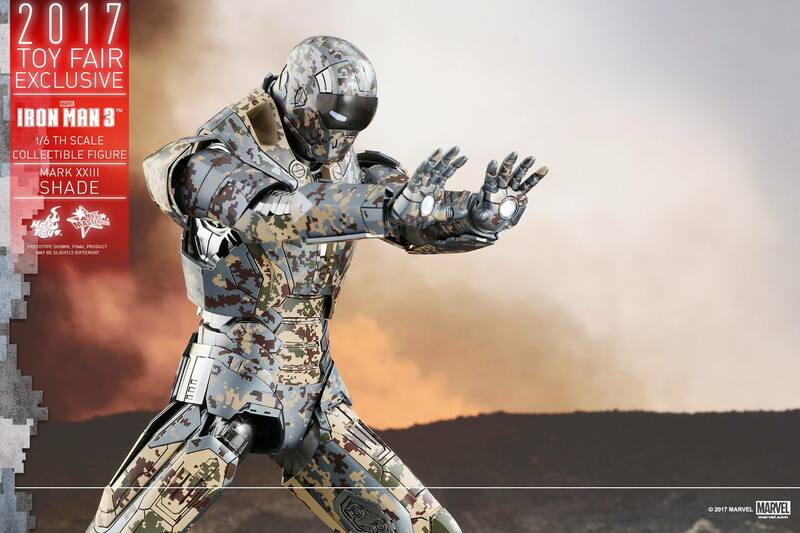 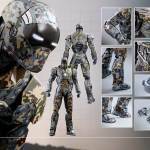 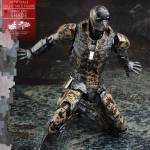 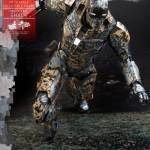 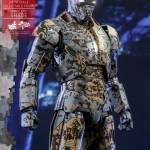 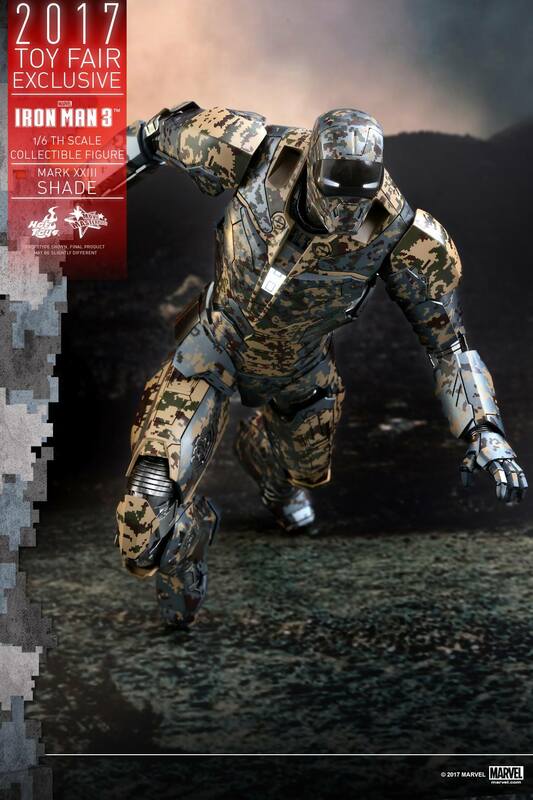 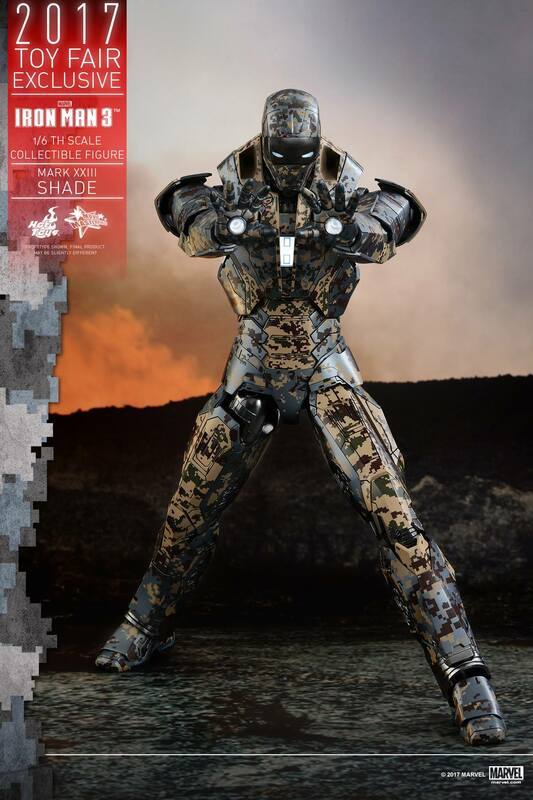 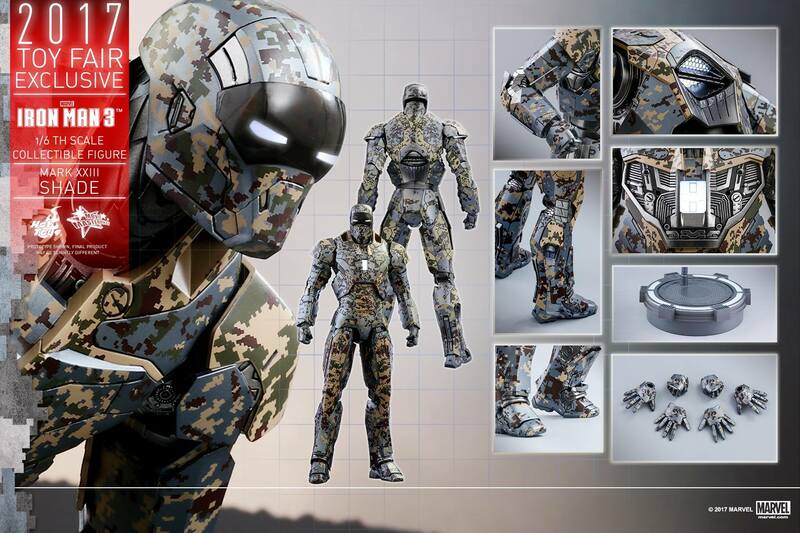 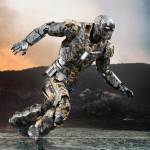 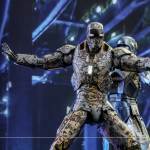 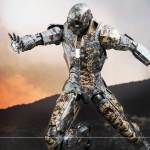 It features a metallic paint scheme with digital style camouflage printed onto the armor. 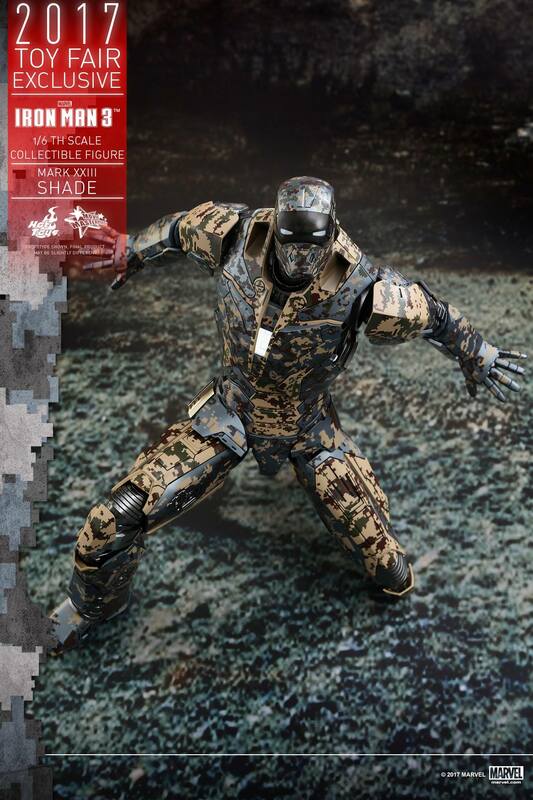 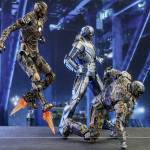 The Shades Armor includes removable armor pieces, light up LED effects and multiple interchangeable hands. 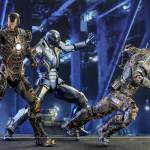 Those attending San Diego Comic-Con 2017 will have a chance to purchase the figure via Sideshow Collectibles. 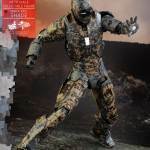 For photos and full details, read on. 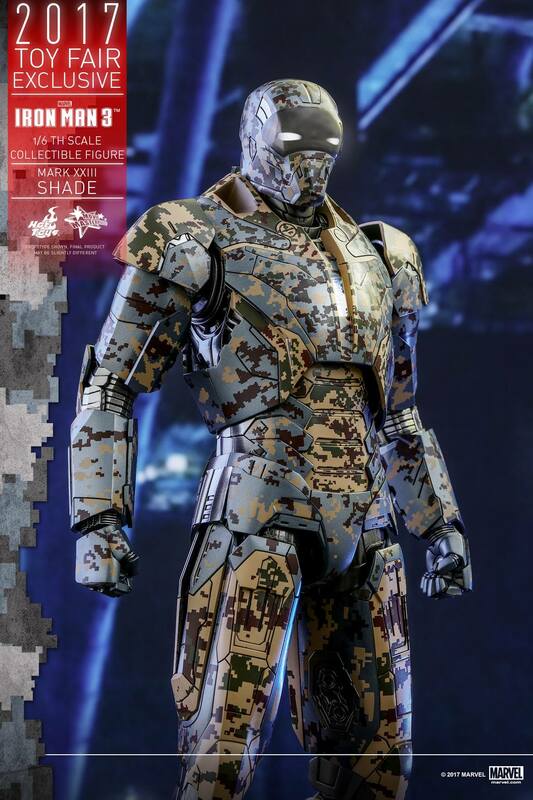 For those who are waiting to complete the House Party Protocol, this is a remarkable armor you shouldn’t pass up! 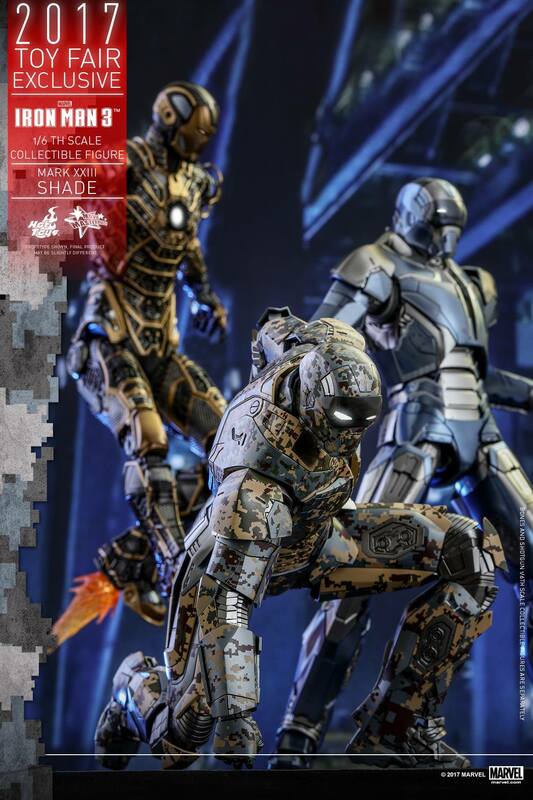 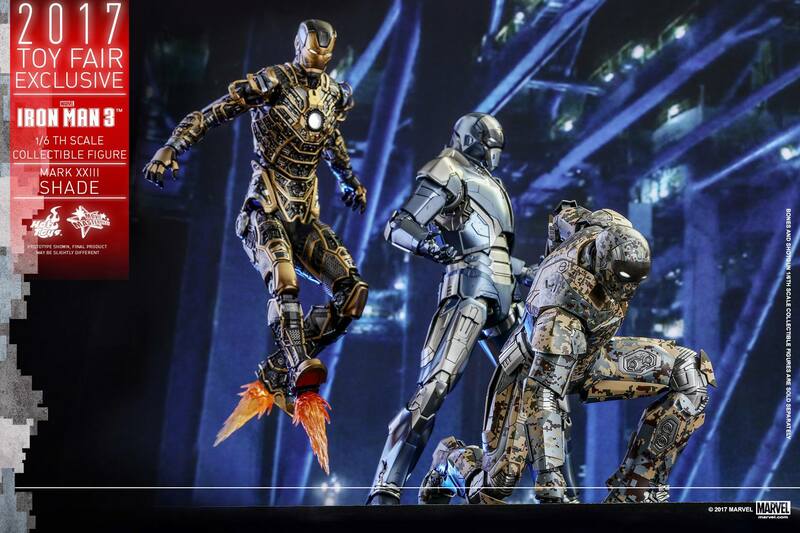 This new Iron Man armor will be available at the upcoming San Diego Comic Con, please stay tuned with our official distributor – Sideshow Collectibles for more details. 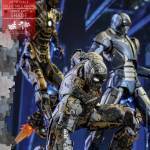 This is only the beginning for this year’s Toy Fair Exclusive items, stay on the lookout on our Facebook Page for latest new in the near future! 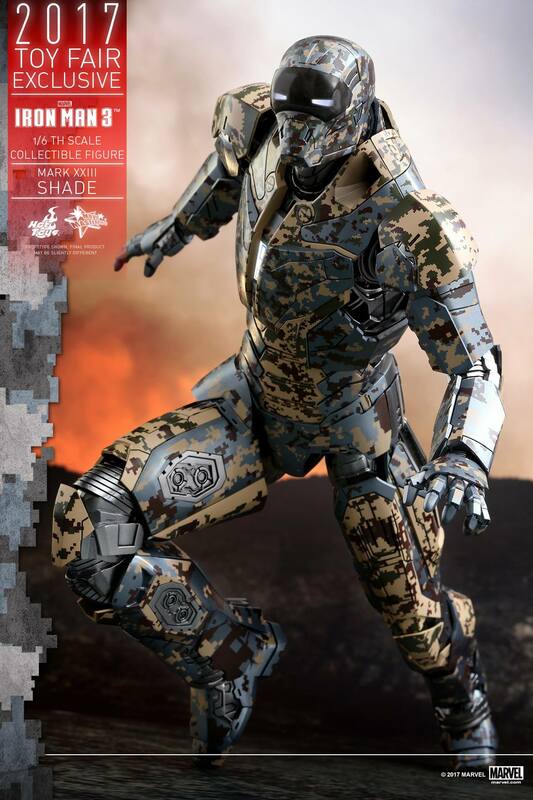 Yeesh, definitely not a fan of the camo look. 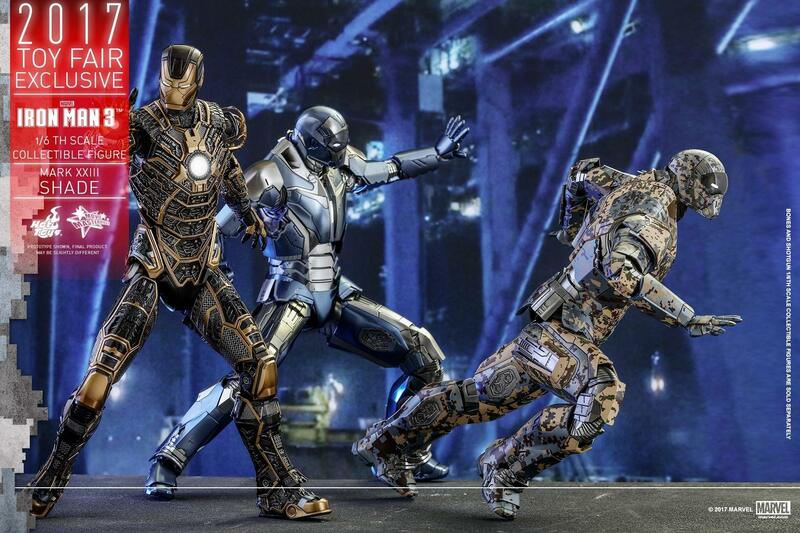 Was on the waiting list for this at Sideshow--just got the notification that it will be processing this week. 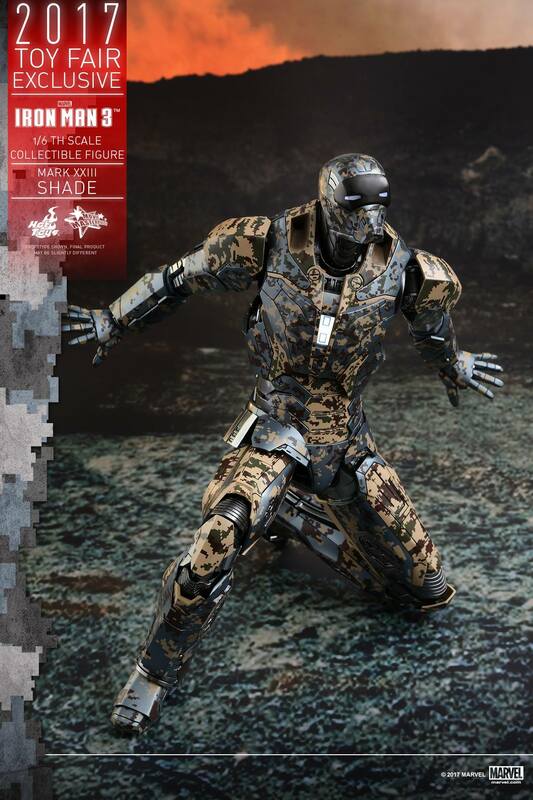 eBay prospectors are wanting $350-500, so the $250 at Sideshow is the way to go if you're interested in this one. 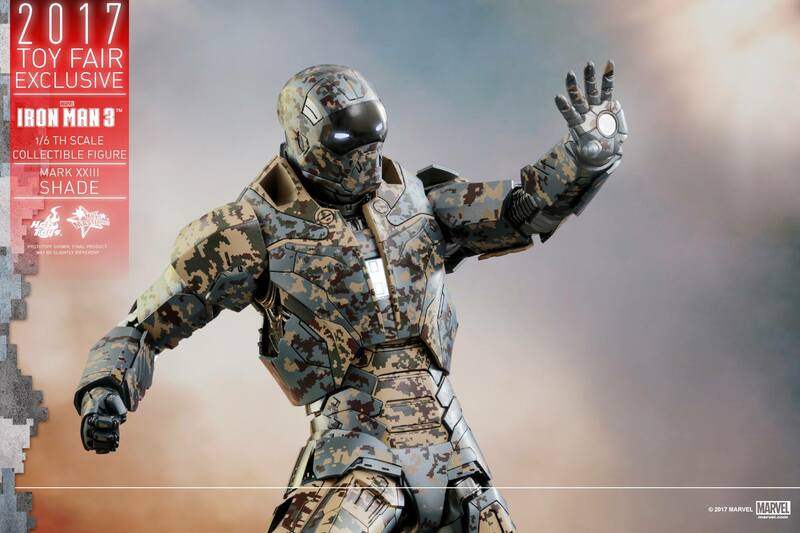 Doesn't seem to be too popular with most folks, so shouldn't be hard to pick up.